There are many good things that you can do today and every day to release your eating disorder. You can overcome and avoid the long-term health risks of bulimia if you are committed to recovery. I’d like to share a few tips from my bulimia recovery that I hope helps give you inspiration. 1. Find New Coping Mechanisms – develop new ways of coping with stresses in your life such as taking deep breaths, going for a walk, talking with a friend or writing your feelings in a journal. 2. Tell Someone – share about your situation with someone who cares for you to get the negative feelings out of your body. 3. Make a Food Journal or Structured Eating Plan – adopt a structured eating program or create your own daily food journal. 4. Develop Self Awareness – become aware of the present moments of your life as well as your inner thoughts and feelings. This becomes especially important when you sense a binge coming on. Start to notice your emotional patterns. 5. Avoid Triggers – say “no” when the situation calls for something that would make you uncomfortable or merely avoid the people, places and food that usually lead to a binge. 6. Reward Yourself – It may be hard to feel worthy of the rewards I’m talking about at first, but I encourage you to start being generous to yourself and rewarding yourself for your recovery milestones. 7. Being Kind to Yourself – there’s no better way to speed up your recovery than to learn to love yourself. Everyone I know who’s recovered fully from bulimia said it was when they finally learned to love themselves that they found they could really live a full and healthy life. 8. Do What You Enjoy Most – life is meant to be enjoyed. I know a lot of people would have us believe life is supposed to be hard and suffering is normal. Your life will become what you think about most. If you think about being happy every day, that’s what your life will become. Do more each day of whatever makes you happiest. 9. Positive Affirmations – start to affirm positive statements to yourself. We all talk to ourselves every day in every moment. Notice what you’re telling yourself and release any negative stories you tell yourself with empowering, happy thoughts (especially about yourself). 10. Practice Love – I call this “practice love” and you may call it prayer, spiritual practice, meditation or anything else that suits you. Essentially you are connecting in a loving way to your higher self, God, or the universe. When you practice connecting like this each day you will know a greater love than you know now. Love of self. Love of others. Love for all kind. 11. Start Some New Habits – thought I’d throw in a bonus bulimia tip here and that’s creating new habits. It takes 21 days according to experts to develop a new habit. Bulimia is a negative, non-supportive habit you’ve created over time. Replace this habit with a more supportive habit that makes you feel good. It can be something as tactical as a meal plan where you write down your food every day or it can be something more intuitive like practicing becoming aware of your thoughts – or the practice of living in the now. Pick something that supports you and try it on for 21 – 30 days. These tips for bulimia recovery are designed to help you feel positive about yourself and empowered to start or keep on your recovery path. Please take a look at my website for bulimia success stories. 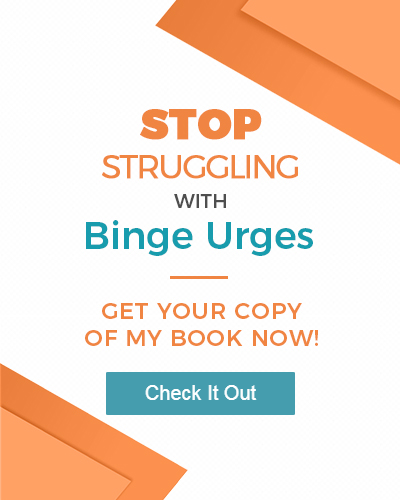 Learning from the success stories of other recovered bulimics can help you to learn what you can be doing to break your addiction to food. The health risks of bulimia are too serious to overlook. There are so many ways to overcome an eating disorder and no two people’s recovery will look the same.